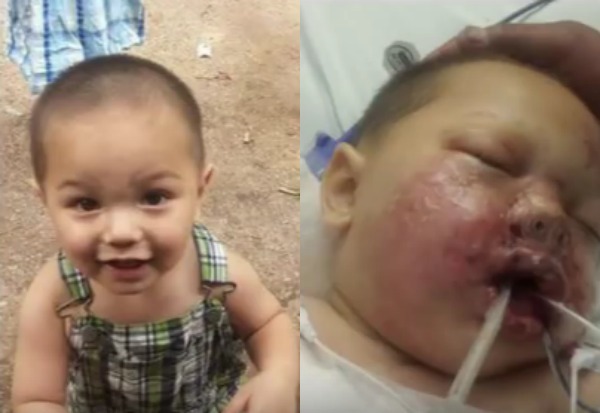 Atlanta (HLN) A 19-month-old boy was severely burned during a SWAT raid in Georgia after a stun grenade exploded in his face. 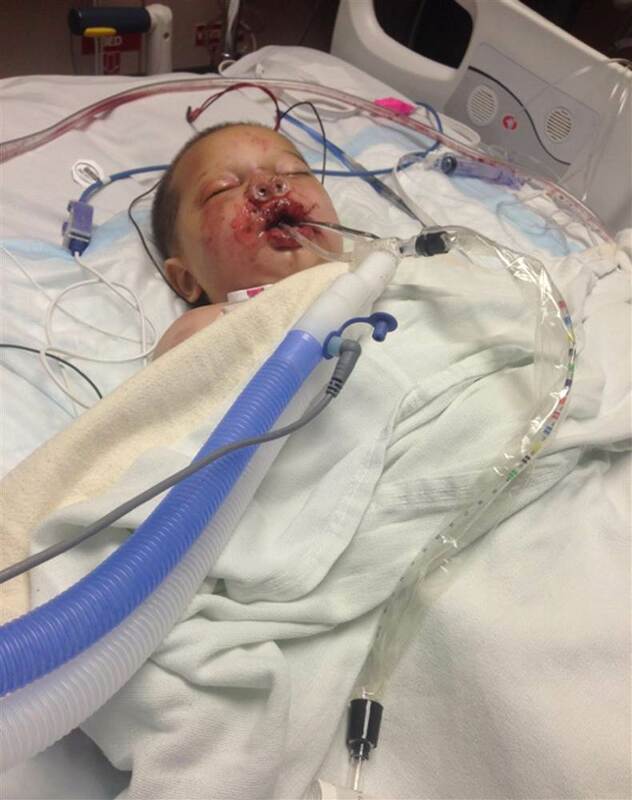 The toddler is now in a medically induced coma in an Atlanta hospital’s burn unit. He was sleeping in a crib on the floor at a relative’s home in Habersham County when SWAT members stormed inside around 3:00 a.m. Wednesday attempting to make a drug arrest. Deputies received a no-knock warrant earlier in the day after an informant had purchased drugs at the home. The sheriff said that his department had no information about a child staying at that address. “You’re trying to minimize anything that could go wrong,” he said, “and in this case the greatest thing went wrong.” He said his entire squad is broken up by what happened and vows to “double question” the strategy next time around. The boy and his family had lived in Wisconsin but were staying with relatives because a fire burned their house down. Now, an even greater tragedy. The Georgia drug task force behind the investigation of the SWAT explosion has a controversial history. HLN learned that in 2009 that same task force shot and killed an unarmed pastor outside a gas station during a separate drug investigation. Watch as HLN Law Enforcement Analyst Mike Brooks and HLN Legal Analyst Joey Jackson duke it out over the conduct of these law enforcement officers. The sheriff called the botched drug raid a tragic accident, and the district attorney has preliminarily indicated that he won’t prosecute this case. The boy’s parents, however, are demanding accountability. They have a lot of community support including Georgia State Senator Vincent Fort and the family’s attorney Mawuli Davis. Fort and Davis met with the Georgia Bureau of Investigations and the U.S. Attorney’s Office. They sat down for an interview with Joey Jackson and Susan Hendricks to discuss where this case stands and addressed the question: Should there be a state investigation into the drug task force’s surveillance and SWAT team’s actions during the raid?